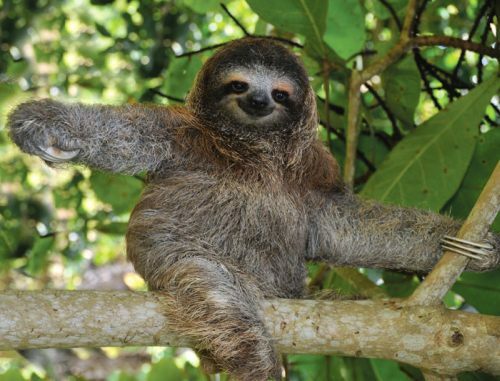 Calgary to Costa Rica - $549 roundtrip including taxes | new route, direct flights on westjet! WestJet just loaded some fares for their new Calgary - Costa Rica flights, which are non-stop between YYC and LIR. The flights have a length of 6 hours and 45 minutes. In the past, you've probably seen some YYC Deals alerts for Central America for flights in the $400s roundtrip including taxes. In fact, there were even some ridiculous ones in the high $300s a few years back. So $549 is certainly not the cheapest price Calgary has ever experienced on flights to Costa Rica, but is still about $150 cheaper than the typical bottom price. And about $300 cheaper than any other January-March 2016 flights at the moment. On top of that, the typical flights from Calgary to Central America will almost always involve stops, usually in Houston or Dallas. Getting to Central America from Calgary can sometimes be a pain, and an overnight stay in the U.S. is sometimes required. Non-stop flights between Calgary and Central America are virtually non-existent, with the exception of the occasional charter flight. So the fact that these are regularly scheduled non-stop flights, and the fact that these flights are available between December 2015 and March 2016, which is prime time for travel to Costa Rica (dry season), I'd say $549 is a pretty great price. Although I am keeping my fingers crossed that this new WestJet route will help create even lower prices at some point from all airlines! 3. Focus on dates between December 2015 and March 2016. Note: The non-stop flights from Calgary to Costa Rica start on December 19th. Look for the flights that are $308 going there, and $242 coming back, for a total price of $549 roundtrip including taxes. Some dates may only have 1 seat available for the low price, so you may want to start your search with multiple passengers, to weed out the dates with only 1 seat available. Here's a screenshot of an example search for 2 passengers from WestJet.com, for a total price of $1090 roundtrip including taxes for 2 people. January 20-28 are the dates in the screenshot. 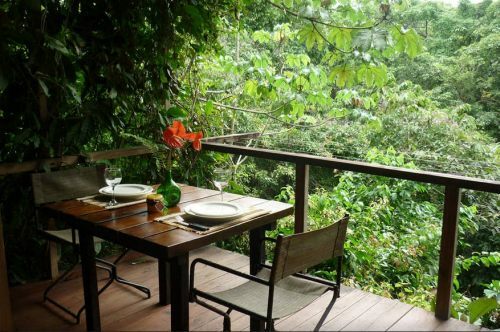 The following AirBNB link will lead you to some great deals on places to stay in Costa Rica. The treehouse for $67 CAD/night (5/5 after 166 reviews) looks like a particularly good deal! calgary, yyc, flight deals, costa rica, lir and central america. 10 Responses to "Calgary to Costa Rica - $549 roundtrip including taxes | new route, direct flights on westjet!" You have a typo.. you are saying March 2015 but I think you mean March 2016. Yes indeed, thanks Jeremy, fixed! Tried to book right away after seeing this and the week we wanted in Feb went from 1090 for 2 seats to 1500 just going in the time it took to go from screen to screen. Dammit WestJet. We missed the boat. Hopefully WestJet will add some more cheap ones for your dates Chuck. I've seen them add more cheap seats on other deals for new routes, such as their one from Abbotsford-Las Vegas. Awesome, I signed up for alerts hoping to get one for Costa Rica in February 2016 and the very next day...you post one! The direct flight option is so great to see - we used another YYCDeal tip to book a trip to Belize for $490 last year and it was so great other than the 16 hr layover in Houston ???? thanks for the tips, love the site! I'm still seeing great deals for January, 13th-26th for example. December is gone but if you're flexible you can still get a great deal early in the year. I just booked the deal Yesterday for January 24! There are still deals available if you mess are puns with your dates! Now to just find a place to stay! I can't wait!! Thanks Chris! Thanks Francine! Have a great time in Costa Rica!